Cherry Blossoms and graves, originally uploaded by DianthusMoon. 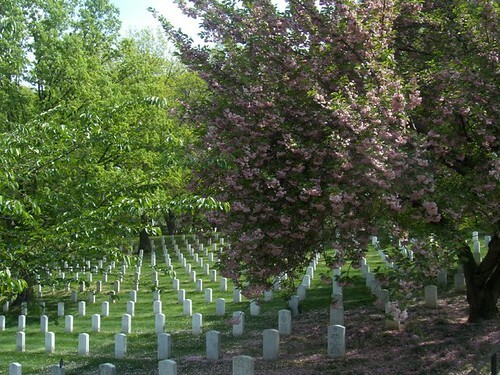 Wanted to share a very poignant photo that my son Sean took at Arlington National Cemetery. That’s one of the only cherry trees we saw blooming. Sean, that’s a great photo! Sorry there were not more trees in bloom. I hear it’s quite a spectacular site during the week of blooms.